The 23 canvases exhibited will be 5 feet by 4 feet each and out of 23, 2 canvases will be 7.5 feet by 5 feet. Each canvas is mirrored by a hand made sculpture with Earth grounded mud, painted by Earth colors and then glazed. Curator Arjun Sawhney says, “The show is called TARA – 21 avatars of the goddess. 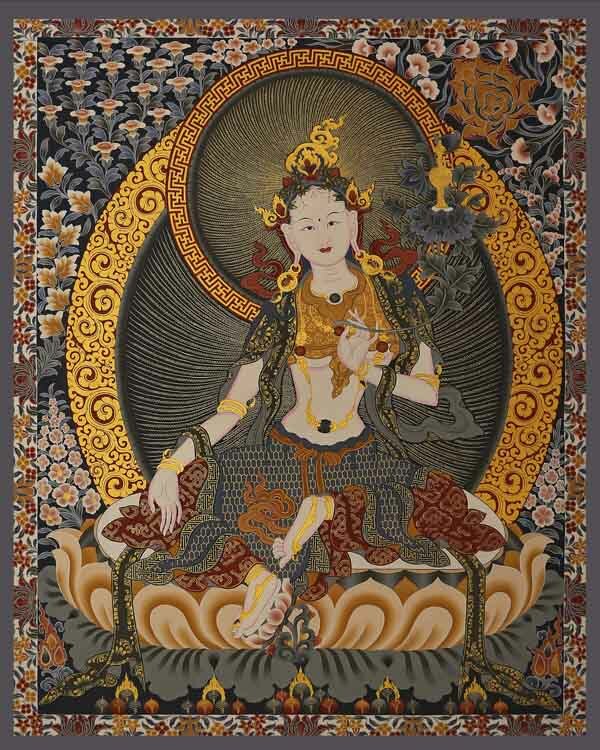 The TARA is the leading female Bodhisattva goddess in Mahayana Buddhist mythology and is the leading God of the country of Bhutan. She has 21 avatars. 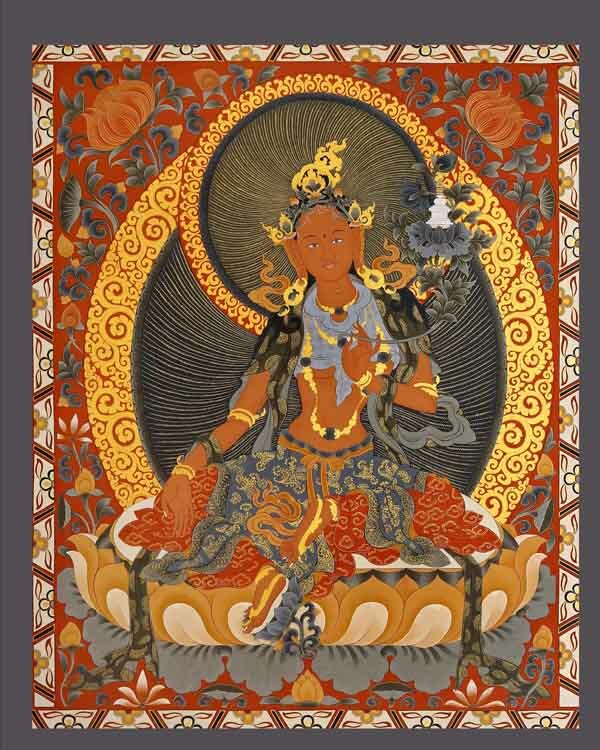 The form of the Tara remains the same but colour of the body and the symbolism which is what she holds in her hand, whether it’s a rabbit or a lotus also changes. Therefore, the energy of that Tara changes. So each Tara has an individual caption and has a different meaning. A very close friend of mine, Tania Le Fabre who is married into the royal family of Bhutan introduced me to this form of art. Together we decided that we should take this art out of Bhutan and show it to the rest of the world. Unfortunately, because of the sheer meticulousness and the demanding nature of this work, fewer and fewer monks and fewer and fewer artists in Bhutan are now adopting or adapting to this form of art. It is pretty much a dying form of art. The exhibition will run from March 15th – 25th, 2018.